It’s a beautiful Sunday today. The sky is blue, the sun is shining, not a single cloud on sight. The kind of perfect day described in fairytales. A light breeze is the only indication that spring is still to come… yet not very far away. March is usually void of rain and 2008 seems to be no exception. I’m standing in front of the Ponte 25 de Abril, an iconic bridge merging Lisbon with the south bank of the river Tagus. The view ahead is breathtaking: Lisbon‘s old buildings sunbathed in the bright light, beautiful monuments embodying the city’s long history, traditional boats cruising the river, the Cascais coastline inviting to summer plans along the beach. The atmosphere is wild at the moment, thousands of people around me, anticipating an anxious start of one of the most famous half marathon races in Portugal: the Lisbon Half Marathon. It is taking place today… right here! It will be the first time I’ll be running the half marathon distance. Ever since I started running that the 10 km has been an achievable target. The day today however marks the first attempt into uncharted territory. A few months back, standing at this place would be unthinkable… the target, unattainable… an impossible challenge a few years ago. Chatting with fellow runners is always a good way of releasing tension. The one next to me has a 1h24m00s target and is trying to convince me to come along with him. “Of course you can do it!” he says… with a target of 1h50m00s myself, I obviously think he’s insane. Even more… this guy is close to elite at my eyes! “Come on! Stay close to me and you can do it!” he insists… one day perhaps… if ever! I do well in the race, crossing the finish line at 1h49m51s, just below target, fulfilling the goal of the last months of training. Big smile! Warm heart!! Indescribable feeling!!! Now… fast forward to 2017, shall we? Ran the Cologne Half Marathon in 2009 and established a personal record at 1h38m23s. Felt amazing! Blew it up in 2013 while trying to hit the 1h30m00s mark in Lisbon. The wind killed me. My inner self and ineptitude to turn it around gave me the final blow. Did 1h36m09s during a training run. Improving the personal best mark. Alone. Ran the 2 legs of the relay in the Düsseldorf Marathon in 2014, hitting an record best of 1h31m52s. In the last years, my passion for trail running took me away from road races and made me enjoy longer and tougher challenges in mountains across Europe. Closer to nature. Fiddling with my soul. Exploring myself. 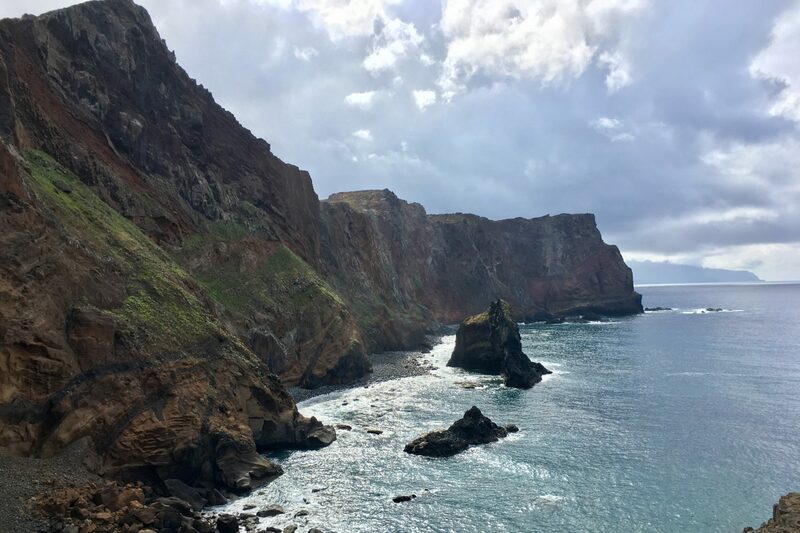 After the mesmerising Madeira Island Ultra Trail (MIUT) and the jubilant Zugspitz Ultra Trail, the racing season was coming to an end. With the 40th anniversary of the Martinslauf this year, came the opportunity of seeking a personal best in the half marathon distance. With an ambitious 1h24m00s target, I’ve returned today from the race with a 1h22m50s personal record! It was super tough, in a true winterish setting, heavy cloudy sky, cold weather, muddy grounds from the frequent rain, legs tired in the second half from a demanding season. If it felt good? Absolutely! I often seek for motivational examples to help me push the boundaries of what is possible. Inspiration comes from elite runners, friends and running communities. Today, it comes from me. It took 9 years to get here but I’ve finally been able to beat the mark that that insane runner insisted upon on the top of the Ponte 25 de Abril bridge. If you’re willing to keep pushing the limits, truly believe in yourself, commit to working the time and enduring through the good and bad moments, you’ll be able to achieve whatever you dream of!